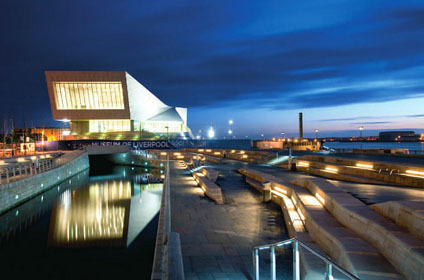 The Museum of Liverpool, part of the National Liverpool Museums network, is an history museum housed since 2011 in an iconic modern building, designed by Danish practice 3XN, located on the city waterfront, at short distance from the Tate Liverpool. 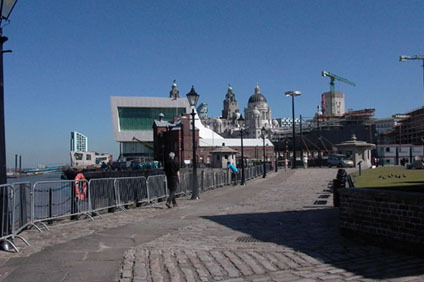 The museum is dedicated to the history of Liverpool and houses a collection of more than 6,000 objects, divided in five sections: Social and community history, City soldiers (dedicated to military history), Land transport (a collection of various vehicles), Archaeology of the Merseyside and a collection of paintings related to Liverpool’s history. Through objects belonging to the museum collections and special exhibitions the museum galleries present various aspects of the long history of the city from the Neolithic age to the Industrial revolution up to present day. At the museum, temporary exhibition and event spaces, learning rooms, a theatre, a meeting centre, a cafe, and indoor picnic area and a shop are available to visitors. 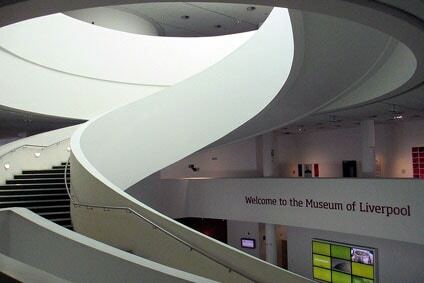 The Museum of Liverpool is fully accessible to people with disabilities, two wheelchairs are available to borrow.